Welcome to Desirable Bear Creek Golf Course Community! 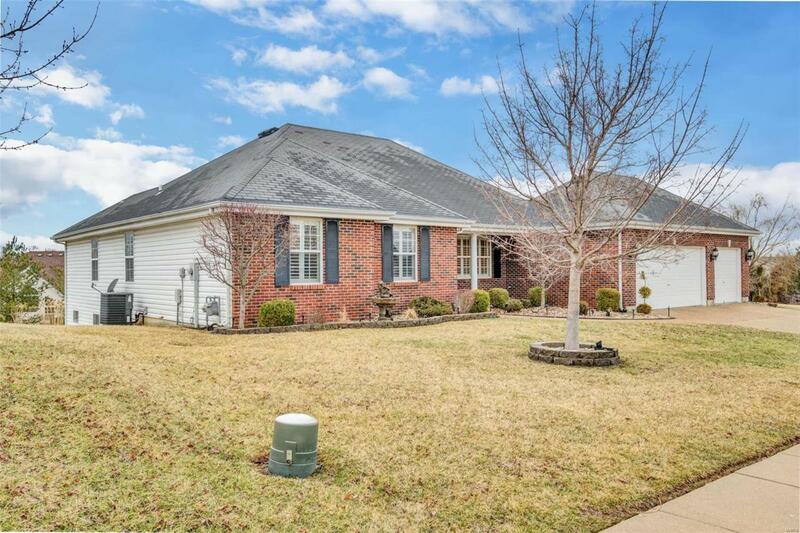 This beautiful Ranch, w/ Full Brick Front has been meticulously maintained, & LOADED w/ EXTRAS! 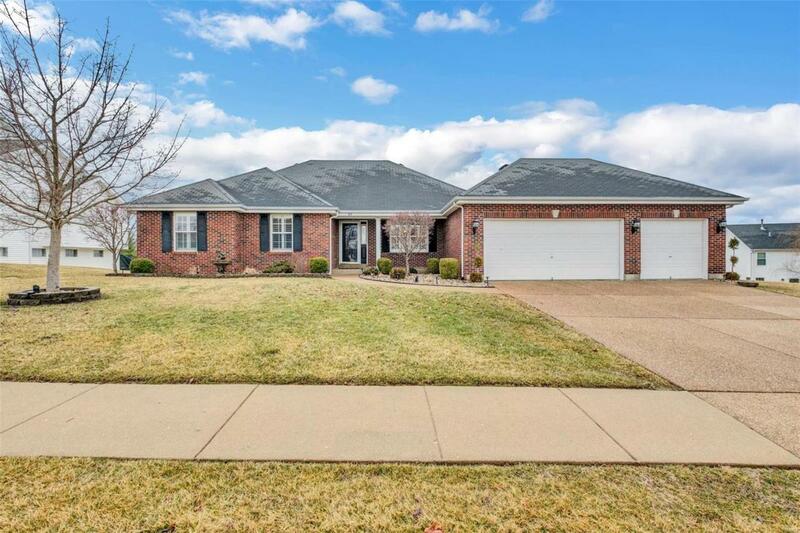 Enjoy the outdoors w/ a sprinkler system, MASSIVE deck w/ retractable awning, & Patio. 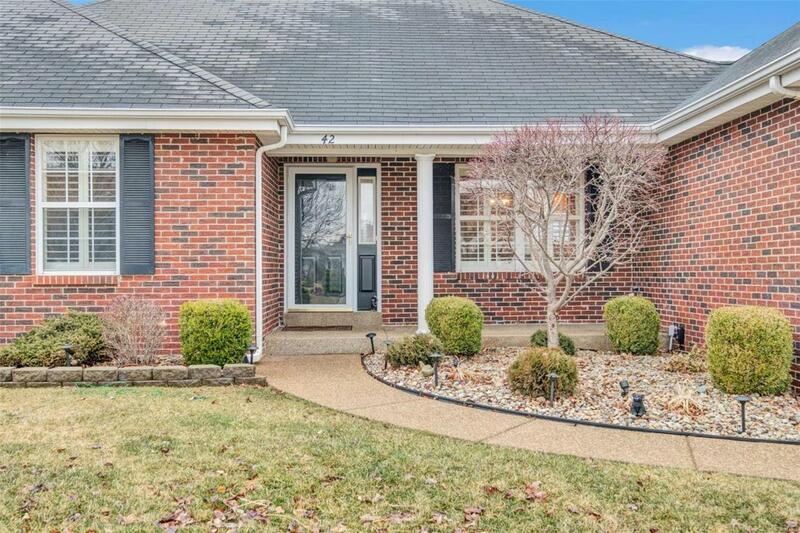 The Bright Foyer will greet you w/ Freshly refinished hardwood flooring. Window treaments not necessary, main level has custom plantation shutters. The entire main level has custom Crown Molding throughout. Formal Dining Room. Great Room has Vaulted Ceilings, & Gas Fireplace. Refinished Hardwood Flooring in Kitchen, FRESH white 42 inch cabinets, new Granite Countertops, New Black stainless appliances & Center Island! Mud Room/Laundry on Main level off of Kitchen. Master is impressive with calming color. Master Bath has Adult Height Granite Countertops, w/ generous sized Shower & Custom Walk-In Closet. 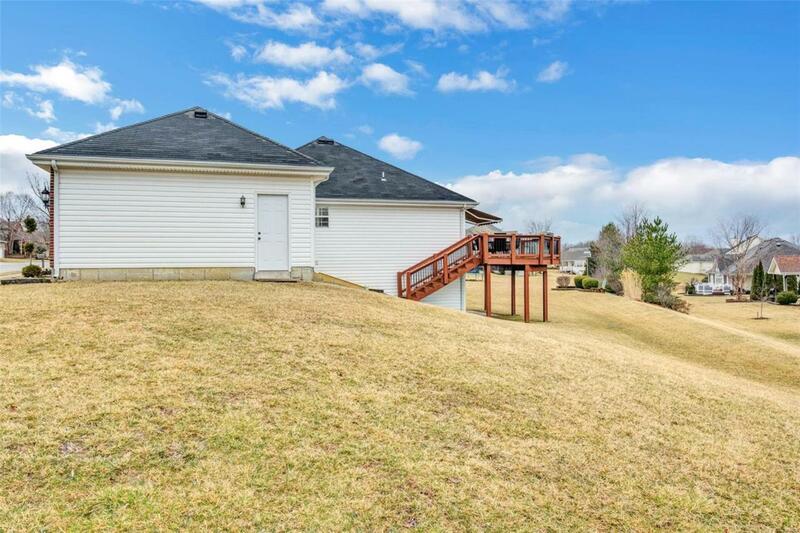 WALK-OUT BASEMENT HAS IT ALL. 2 Bedrooms, 1 full bath, Family Room, & Wet Bar!! . WHY build new when this home has all the extras you know you want?